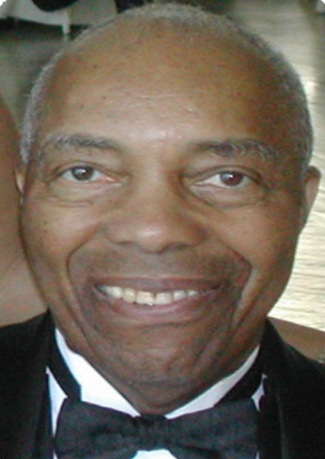 Chief Warrant Officer Fred E. Farmer, Jr. was born in Chicago, IL, on January 10, 1929. He was the first child born to Mr. Fred E. Farmer, Sr. and Carolyn Rowell Farmer. He had three siblings, Warren Farmer, Johnny Brooks, and Charles DePratto. Chief Warrant Officer Fred E. Farmer Jr. enlisted into the United States Army in 1946. His first passion was aviation, which led him to join Chicago’s Civil Air Patrol while he was a young high school student. This is where Fred first gained his experience and military discipline. He loved flying and as a youngster he did his first solo flight in the Civil Air Patrol at the young age of 14yo. When Fred entered in the Army, he was one of the first blacks to go through Fort Benning’s jump school. When they combined its Glider and Parachute training into one course, Fred was one of the first blacks to emerge qualified in both types of airborne operations. Fred was sent to Fort Bragg, NC. Where he was a paratrooper and a member of distinguished 555th PIA (=Paratrooper Infantry Association), which is also known as “Triple Nickels”. He made more than a hundred jumps as a paratrooper. He later became a Master Parachutists, and he loved what he did! Fred later went to Flight School at Fort Sills, OK. He was the fourth black to graduate from the Army Flight School. He graduated in 1955 as a Warrant Officer Pilot. He became a member of the 82nd Airborne Division, and he was assigned to Simmons Army Airfield (in Fort Bragg, NC). In 1962, he was sent to Vietnam where he flew troops to different places within Vietnam as an American Advisor. After leaving Vietnam, Fred once again attended flight school for Fixed Wing Aircrafts at Fort Rucker, AL. He returned to Vietnam in 1965 and flew Chinook helicopters. Fred became one of the first African American pilots to fly both helicopters and fixed wing aircraft. During Fred’s tenure, he had a number of aviation unit assignments from Fort Rucker, AL to Fort Devens, MA. Fred also became a senior instructor pilot, and he taught many military personnel to fly. He retired from the Army after 21 years of services, in 1967. WO Farmer is the recipient of the Purple Heart. WO Farmer, his wife Hilda, and family settled down in Fayetteville, NC. He worked on fort Bragg, NC as a civilian employee as an Equal Opportunity Advisor and the 82nd Airborne Division Safety Director. He worked in both of these positions for 29 years, cumulating with more than 50 years of distinguished superb government service upon his retirement. In addition to the Purple Heart, CWO Farmer received the following military awards: Master Parachutist Badge, Senior Aviator’s Wings, Army Commendation medal, Air Medal with 12 Oak Leaf Clusters, National Defense Service Medal with Bronze Service Stars, Vietnam Service Medal with four Bronze Service Stars, President Unit Citation, Armed Forces Expeditionary medal, Meritorious Unit Commendation medal, and Purple Heart. CWO Farmer also distinguished himself in the following civic activities: Phi Beta Sigma Fraternity (Vice President), United States Association of Black Army Aviators, American Red Cross, Cumberland County Board Member, Human Relations Advisory Committee, Fayetteville City Schools (Chairman), Edward Evans Consistory (Masonic) #196, Silver Square Lodge, #791 (Masonic), College Heights Presbyterian Church- Deacon Board, and College Heights Presbyterian Kindergarten (Board member). Fred was not only an excellent servant for his country but he was a good husband to his wife, Hilda H. Farmer. They were married for 59 years. He was a very caring father for his four daughters Francesta, Mychelle, April and Joy. He was the grandfather for eight children: Niambi, Louis, Frederick, Brandon, Aaron, Lorraine, Michael and Jeremy; and he was the great grandfather of Kristofer Jr., Zora, Ambriah, Dasia, Beniah, and Maya. Fred was a servant of his Church and community. He was involved in many activities, including serving as Treasurer of College Heights Presbyterian Church and President of the Church Men’s Organization. A Church award was developed in Fred’s honor, the Fred E. Farmer Service Award. This award is given to a young man each year, on Men’s Day. Fred also donated a set of bells to the Church. These bells are played on special occasions and holidays. Fred set up a scholarship fund to provide scholarships for students entering college or graduate school. Fred loved to help people in every way he could. In this regard, he was truly a servant of God and country. Fred departed this life at Cape Fear Valley Hospital on July 14, 2007. He was a cancer survivor, having developed Non-Hodgkin’s lymphoma, as a result of exposure to Agent Orange. He died from complications of a stroke.